UCF Director of Tennis John Roddick announced Bryan Koniecko as the new women's tennis head coach. UCF Director of Tennis John Roddick announced Tuesday that Bryan Koniecko will serve as the new women's tennis head coach. 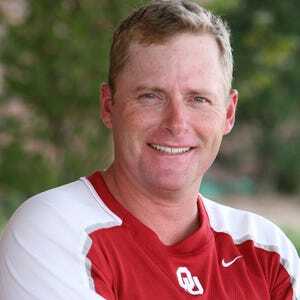 "We are very excited about the addition of Bryan, who has extensive experience as a collegiate coach and player," Roddick said in a release. "He did a fantastic job of laying the groundwork to rebuild the Ohio State women's program into a national power through recruiting and developing players. With the combination of our new home at the USTA facility in Lake Nona and the academics at UCF, we are confident that Bryan will identify the best student-athletes in the nation and help bring the program to national prominence." Koniecko, who will become the 12th head coach in UCF women's tennis history, most recently was the men's tennis head coach at Brown. He also spent two seasons as an assistant coach for the Ohio State women's team. "The first step in building this program is to begin developing our players to reach their maximum potential," Koniecko said in a release. "We will start to build a strong culture of excellence that will be passed down over the years at UCF. I am very eager to begin working with the current team. Koniecko attended Ohio State and was a five-time All-American leading his team to four Big Ten regular season and tournament titles during his college career. His talent and performance earned him the title of Big Ten Athlete of the Year in 2008 and 2009. "Our goal is to recruit young women that are very dedicated to their academics as well as their athletics." Koniecko said in a release. "We will be looking for student-athletes who are relentless competitors that will help lead UCF to the top of college tennis. I cannot wait to begin recruiting internationally, nationally and the great state of Florida." As the Brown men's head coach from 2014-16, two of his players earned All-Ivy singles accolades. The Bears Intercollegiate Tennis Association All-Academic Team honors each year Koniecko was at the helm.